The field of education is incredibly important to the development of society. The quality of educational programs can help determine how well students are being prepped for their futures, which can influence the future of business, academics, and the economy. Students that are interested in playing a role in the improvement of education systems and policies may find that the MPA - Education is a great place to start. The MPA - Education is a master's degree program that integrates concepts from the field of public administration with that of education. In public administration degree programs, students can learn more about how to research, develop, and implement helpful public policies by which service agencies can follow. The curriculum in generalized MPA programs may include topics that are related to organizational management, laws and ethics, and employee maintenance. How Does The Education Concentration Change An MPA? The addition of education into this degree program can change the focus of the generalized program dramatically. Students in this specialized program can focus specifically on the needs of the educational system from a proactive standpoint. In terms of career opportunities, most graduates from this program may be suitable for positions in the government, local educational systems, or research. The knowledge and skills that can be provided through this degree program can help prepare learners for an influential career in the field of education. The curriculum for most MPA – Education programs can vary depending on where you are enrolled. If you have chosen an accredited program (which you also should do), you may see that the courses from your program are similar to those from other accredited programs. This is because there are certain topics and courses that are required in order for a program to be accredited. The names and titles may vary, or include various themes, but the overall focus of the courses may likely be the same. Before choosing and enrolling in a degree program, it is always important to review what you are signing up for. The name of a degree program is not often very explanatory in terms of what the program can offer. Although you might have a good idea of what to expect in MPA – Education programs, our team of educational experts has pulled some common courses from programs in this discipline to help solidify your understanding of what these programs can provide. Read more about the courses available for this program below. Economics in Education: Students that take this course can have the opportunity to view the educational system from an economic point of view. The influence of education on economic growth and consumption may be discussed, as well as the influence of education on employment and career acquisition. Students within this course can learn more about how good quality educational programs can have a direct effect on society and its economy of the course of a lifetime. Sociology of Education: This course seeks to bridge an understanding as to why students from different socioeconomic backgrounds may have different levels of success in the educational system. Some of the topics that may arise within this course include income, environment, culture, and ethnicity in relationship to education. Students taking this course may be challenged to identify potential areas of change, in an effort to level the differences between different socioeconomic areas and quality of education. Ethics in Education: Ethics is a large portion of what makes effective education professionals. In this course, students can investigate and review the current laws and regulations that have been set forth to create fruitful learning environments for students and educators. Some of the topics that may be discussed throughout this course can include ethical decision making, duty of care, and diversity. Enrolling in a graduate-level program can be an exciting experience for new students. Taking the plunge into more career opportunities and higher knowledge can result in more profitable future endeavors than individuals that stop at the bachelor’s level. However, without doing proper research, you could be making a decision without ensuring that the program of your choice has all of the credentials needed to be reliable and reputable. One of the most recommended steps in choosing a degree program is verifying its accreditation. Accreditation for a college program is a vital tool in determining its worth. For MPA – Education programs, accreditation can make or break your ability to find profitable careers after graduation. The leading accreditation agency for programs within the field of public administration is the Network of Schools of Public Policy, Affairs, and Administration (NASPAA). This organization works hard to ensure that colleges provide programs that are reliable and contain information that is reviewed and verified. In terms of MPA – Education programs, there are currently 9 accredited programs available in the U.S. Each of these programs has specializations that focus on education, with some offering combined specializations to optimize your experience. Take a look at the list below. What types of specializations are common for MPA – Education programs? As you search for MPA – Education programs, you may find that some of the specializations include different topics or combined aspects of education. Most Education specializations either look closer at the policies surrounding education or social influence on education. Each specialization has a special contribution to the field of education, some of which you may find more fitting for what interests you. Specializations within this distinction may take more focus into the policies and regulations that are specific to the field of education. Students that enroll in programs with this concentration might be more suitable for developing helpful policies regarding curricula, employment, or educational plans within schools all over the country. Some of the course work within this field may require students to analyze current programs and develop plans for change or improvement. Students that enroll in degree programs with concentrations focusing on social policies may take a different approach at evaluating educational programs. Social influences on education may include socioeconomic status, culture, geographical location, and ethnicity. Students that are more concerned with identifying environmental factors that influence education and identifying areas of change may be a better fit for concentrations in this area. Through a simple internet search, you can see that the opportunities for enrollment are almost overwhelming. So many schools offer students the opportunity to enroll in MPA programs, some of them not even having the right type of accreditation. When looking for a university to enroll, you should always ensure that the school of your choice is accredited by the NASPAA and have the right types of specializations to suit your interests. Texas A & M University: This university provides students with the option of pursuing the MPA – Education Policy and Management. This degree program involves a look in the policies that drive the educational system and methods for leading teams to successful operation within the educational setting. Course work for this degree program may include Immigration and Education Policy, Public School Law, Organization Theory and Leadership in Education, and Professional Practice in Education. The University of Oregon: The University of Oregon has a MPA program with a concentration is Education and Labor Policy for students that are interested in pursuing careers that can potentially influence the field of education. This school requires that students choosing a specialization engage in 24 credit hours of coursework within their chosen specialty field. Example courses for this concentration include Education Policy Analysis, State and Local Policy, and Sociology of Education. The University of Washington: The MPA – Social Policy: Poverty, Education, and Social Welfare program at the University of Washington takes into consideration the different social factors that come into play when working in the field of education. This well-rounded degree program is an excellent choice for students that wish to learn more about the surrounding factors to good quality education and the methods needed for change. Some of the courses that students might take throughout this program are Education, the Workforce, and Public Policy, Economics of Education Policy, and Asset Building for Low Income Families. What types of Careers Can I Obtain with the MPA Education Concentration? With a MPA – Education degree, there are many different paths you can take after graduation. Having a profound knowledge of the policies and programs available in the education system can make you a vital resource for agencies all over the country. Some of the most popular domains for specialists within this field include the U.S. Government, Educational Non-Profit Agencies, Education Research, and School Systems. The job roles of individuals within these fields can vary, but can include researching educational policies, analyzing the effectiveness of programs, evaluating curricula, maintaining financial records, and even advising educational systems. As the years progress, it is likely that there will continue to be a need for influential professionals in the field of education. Choosing a degree program that can last a lifetime is not always an easy task, unless you choose on in a field that is destined to grow. The field of education is a great place for you to become involved. In order to give you more insight into this career field, our team of educational experts has provided a short list of common career titles and salaries below for you to browse. The amount you earn as a professional in this field can rely on your experience, education, and location. Instructional Coordinators: $62,460 on average per year (BLS). Non-Profit Budget Director: $73,840 on average per year (BLS). Deciding to pursue an influential career in education is a life-changing decision. Most people want to find a career that pays well, but still provides a service that is memorable to the public and can make a difference in the lives of others. In the field of education, there is a constant need for change and innovation. People like you can work hard to develop helpful policies and programs that can assist with providing better education to students within your community, as well as children from all over the country. 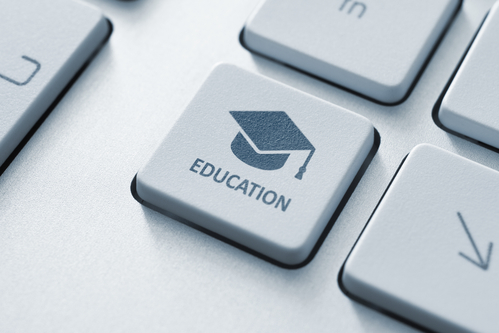 With this degree, you are not limited to any specific job role within the field of education. The courses that you are involved with during your degree program can provide a vast understanding of the rules and regulations that affect educational systems at all age levels. With this degree, you can pursue careers in research, education application, government, funding, and even curriculum review. This may also be a great method for obtaining higher level positions in your current place of employment. Each of these subject areas provides an increase in quality to educational systems across the country. Your contributions as a student and professional in public administration can help shape the future for all people. Education is one of the most important aspects of the environment, including your own. Choosing to take part in the MPA – Education program can help you make a difference in the lives of others through your hard work and research. Society places an extreme focus on education through government programs, making this a great place to settle into a degree and a later career. If you are interested in pursuing your MPA – Education, find a university that has the qualities you require and enroll today.